A 58-year-old man has been arrested today in Elbasan. 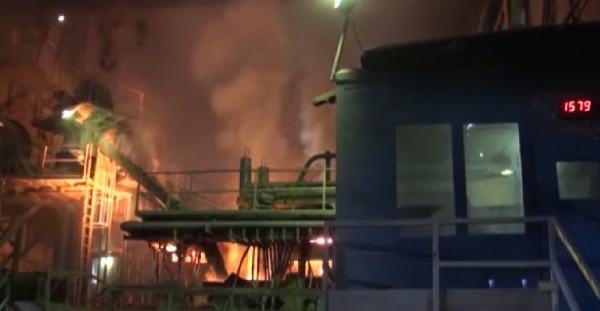 Flamur Alterziu, a resident in the 11th-November suburb of Elbasan, was put in a shackle after a serious accident occurred at the Rolling Mill of 'Kurum' metallurgical plant, Elbasan, where he was in charge as responsabile. Yesterday at around 15:00 has died citizen Naim Dërstila, 63-year-old, electrician, resident in village Dërstilë of Gjinar Administrative Unit. Oculus News sources suggest that the arrest of the person in charge came due to the disrespect of the rules of safety at work. Meanwhile three days ago another accident was recorded in another industrial facility in the industrial area of the former Metalurg in Elbasan. We recall here that a worker died earlier in the Cement Factory and another was seriously injured. In all cases, accidents have come about due to lack of safety rules. Meanwhile, the state labor inspectorate did not penalize abusive entities under law even though the occurred incidents are flagrant.